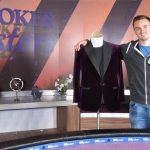 Justin Bonomo believes that when it comes to ranking the best no-limit hold’em players, he’s “at the top.” And it’s hard to dispute that claim after he beat the winningest tournament player in history Wednesday to take down the 2018 Super High Roller Bowl for a $5 million bankroll boost. Throughout the four-day tournament held in the PokerGo studio outside the Aria in Las Vegas, “ZeeJustin” made few mistakes and caught cards at the right time — a tough combination to beat in the hands of a skilled high roller. The $300,000 buy-in tournament drew 48 players, and on Day Three, the man no longer with pink hair was an ace on the river away from going out on the bubble in a hand against defending champ Christoph Vogelsang. But the card he needed came. At the final table on Wednesday, Day Four, with three players remaining and Jason Koon challenging Daniel Negreanu for the chip lead, Bonomo and Koon both flopped two-pair. KQ for Bonomo vs. K9 for Koon on a flop of K-Q-9. 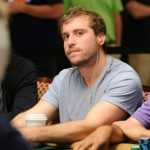 Koon, who admitted he had a piece of Bonomo’s action, lost nearly 80 percent of his stack in the hand. Moments later he’d slide the remainder of his chips — about 15 big blinds — to Bonomo, who now had overtaken Negreanu for the chip lead as the two went heads-up. Heads-up play lasted only about an hour before Negreanu, who never chipped into Bonomo’s chip lead, found a gambling hand. Bonomo raised pre-flop to 200,000 on the button and got a call. The flop came 9♥6♦7♥. Bonomo bet 160,000 and Negreanu check-raised to 500,000. Not wanting to mess around on a draw-heavy board with top set, Bonomo fired back a bet of 1.25 million. The PokerStars Team Pro member decided it was time to gamble and either hope Bonomo folded, which of course he wasn’t going to lay down top set, or try to hit a straight, so he shoved all-in and got a snap call. 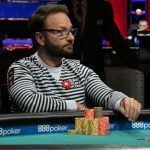 A K♠ on the turn and 6♣ on the river ran gave Negreanu no helpfourth annual Super High Roller Bowl at the Aria in Las Vegas. After winning the Super High Roller Bowl, Bonomo said in his post-game interview with PokerGo that he believes he’s “on top” of the no-limit Texas hold’em rankings. And who could dispute that claim? Bonomo moved into 3rd place all-time on the tournament winnings list, surpassing the $31 million mark, and is now just $8 million behind the all-time leader, Negreanu. 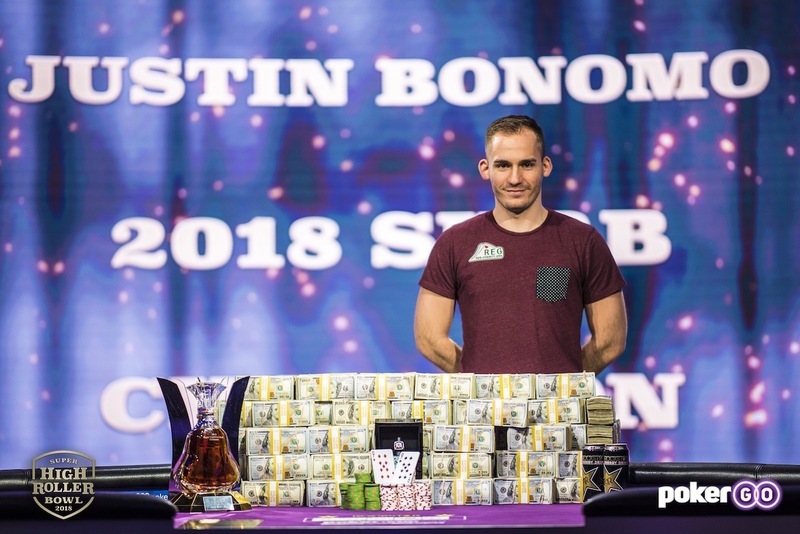 It’s been a remarkable year for Justin, who had almost $9 million in cashes, including the Super High Roller Bowl China in March for $4.9 million, already this year before scooping the $5 million prize on Wednesday. All $13.8 million he’s won in 2018 tournaments have been in no-limit Texas hold’em events. It’s tough to deny his claim of being the best NLH player in the world. Omg! the dream of every poker player, not only to play in such a tournament but to make it to the payments and of course to finish in the first place !!! fine pottery even at the lowest position !! thank you !! Congratulations to Bonomo and Negreanu, Negreanu showing that he is one of the best live poker players in the world, he is always at the final tables, a shame that he did not take the first place. I congratulate Bonomo, he is certainly a fine fellow, but what is his secret of success? Negreanu is also a fine fellow! He constantly improves the game, at the level of young players. Do not stand still, like Hellmuth. If haven’t more money will can’t get to this tournament. Negreanu have name in board poker alltime , you cool man . In an interview made to Daniel Negreanu He said that he has prepared very well physically and mentally. Not only for this tournament, but he also he wants to make the difference playing poker this year. Well, He has started with the right foot this year. Even though, he wasn’t able to wing the SHRB, he has shown us why he is the best poker player nowadays. With only 48 entrants, if you have the money, this would be an awesome tournament to play. Congrats to Bonomo, he’s definitely on a hot streak. He just tweeted that he won the Aria $25k High Roller. So he’s now even closer to Daniel on the all time money list.